TURN UP THE HEAT IN THE YEAR’S BIGGEST COMEDY! Alright, let me take a minute right now and recommend to you The Best Comedy of the Year!!!! (at least in my opinion!!!). I am a HUGE Melissa McCarthy and Sandra Bullock fan and these two together are a dream come true! This movie is HILARIOUS and I watched it AGAIN the minute I received because I just couldn't wait to laugh and laugh!!! If you need a good laugh, go out and BUY THE HEAT TODAY!!! ● Welcome To the Bonus Features! 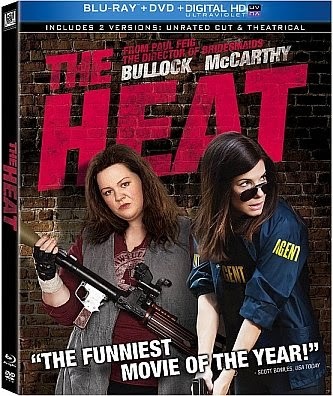 Buy It: You can purchase The Heat Blu-ray Combo Pack for $19.99 from Amazon.com.